Great job to our member and VP Membership officer, Joseph Coupal, in competing at the Area D-4 contest(s). He won first place in our club for both the evaluation contest and the Tall Tales speech contest. So, yesterday, he went on to represent our club at the Area competition level. About 50 attended. Learn by watching winning evaluators as they all evaluate the same speech. I forgot to get a photo of all the competitors before some of them had to leave but I did manage to capture most of them in a shot. Congrats to all competitors from left to right Barbara Peck (2nd place Tall Tales), Steve Worthman (Tall Tales participant), Jennifer Bailey (2nd place Evaluation contest), and the man who walked away with all the metal….Joseph Coupal (1st place Tall Tales, 1st place Evaluation contest)! Not in the photo but to be recognized also for exceptional performance Barbara Setliffe (3rd place Tall Tales), Ryan Dunn (2nd place Evaluation contest). 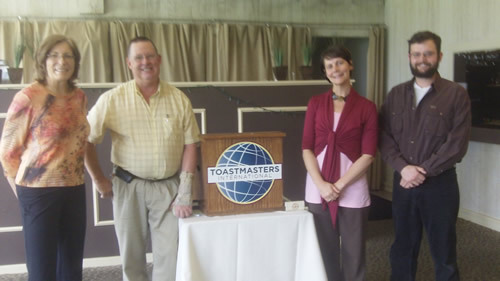 On August 22, the George Sutton Toastmasters club will be conducting its club Evaluation and Tall Tales competition. 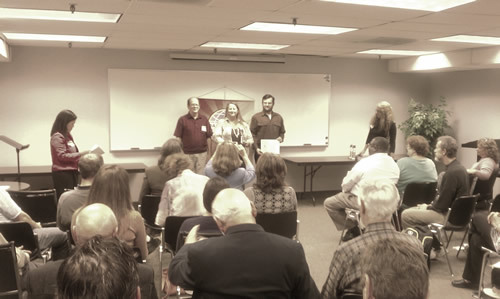 Since we usually have the Evaluation and “Humorous Speech” contest this time of year, I’d like to provide an introduction to what a Tall Tales contest is and describe a basic outline of what makes a “good” tall tales speech, fit for winning a Toastmasters competition. Then I’ll provide one of the best examples I found on YouTube for you to analyze and emulate in your own speech preparation. 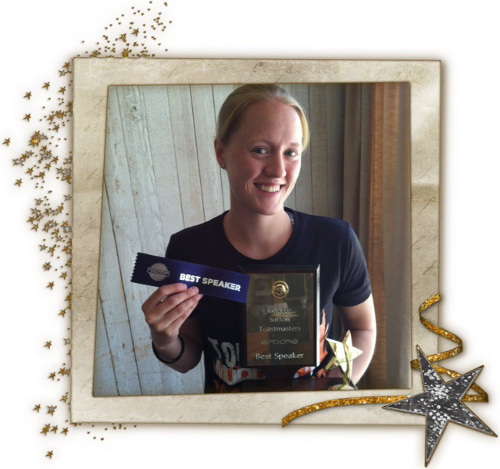 Why Do We Have a Tall Tales Toastmasters Contest?